Memorial Day is the unofficial start of picnics, vacations, swimming, and deadly accidents. From Memorial Day to Labor Day, there is an increased number of car crashes. From 2012 to 2017, there were more than 5,000 deaths during this time frame. 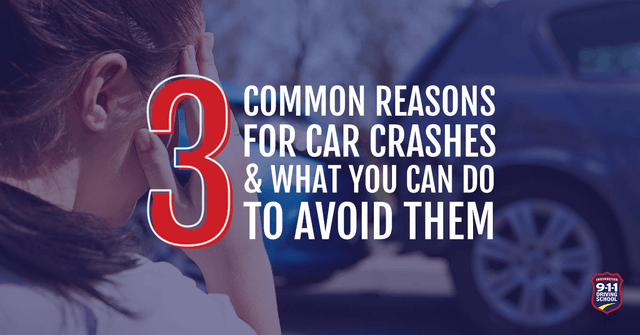 Let’s look at the five most common reasons behind crashes and ways that you can stay safe. 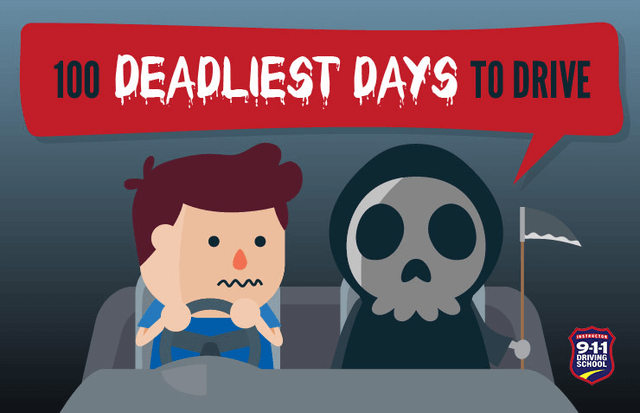 The main reason for the 100 deadliest days is that there are more drivers on the road. Memorial Day is usually the time that school lets out and there are more teen drivers on the road. 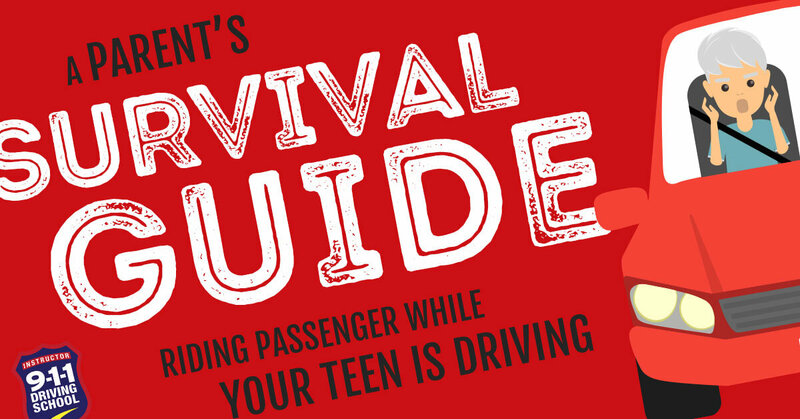 Teen drivers are less experienced and usually dealing with a lot of distractions. Teens aren’t the only drivers on the road though. More individuals and families are heading out to enjoy the weather, attend popular summertime events, and going on vacations. With more drivers on the road, the more likely it is that there will be collisions. Long road trips, big parties, and holiday celebrations lead a lot of people to drive while impaired in some way. Whether it is alcohol, drugs, or driving drowsy, people are getting behind the wheel of a car unable to drive safely. If you find yourself in any of these situations, don’t rationalize that you are good enough to drive. Instead, find a friend to be your designated driver or call a ride share or taxi service. It’s never worth putting your life and those around you at risk. When the sun is really hot, it’s not comfortable to buckle up. Don’t wait until they cool off. Don’t worry about being too wet or that you’re close enough to home that you neglect it either. If you are driving, you are responsible for making sure everyone in your car has a seat belt and is wearing it. Even minor collisions can have fatal results when proper restraints aren’t used. Driving too fast is a common cause for car crashes. With dry roads, clear skies, and fun things to do, drivers tend to drive a little more recklessly. Combine this reason with more drivers on the road and it is a recipe for disaster. The most common reason for speeding is because you’re late or have some sort of road rage. Plan and make sure you leave on time, giving yourself a buffer for bad traffic. With more people out driving and pedestrians out walking, it is important that you don’t speed so that everyone can stay safe. If you ever find yourself in a situation where another driver wants to race, don’t do it. It is illegal and dangerous. Texting and driving is the most common distraction for drivers. Don’t mess with your phone in any way while operating a vehicle. Pull off the road and out of traffic if you must enter an address, take a call, or send a text. Even looking down for a few seconds can cause fatal results. Whenever you are changing lanes, it’s vital to check your blind spots. check around you more carefully. make a movement very fast and you might not be ready for it. and you could end that driver’s life. 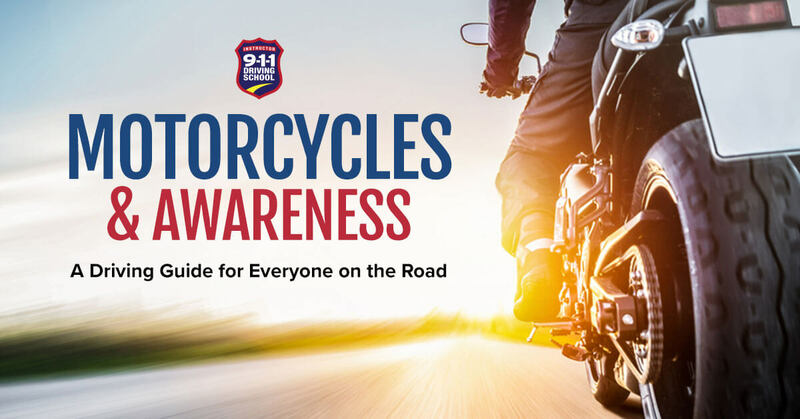 direction with a motorcyclist near is dangerous if other drivers aren’t watching carefully. impaired driver has slower reaction times, the results are more fatal for the motorcyclist. Impaired driving is hazardous to everyone, so just don’t do it. signaling is a recipe for disaster. slower and use extra caution. others can’t see you very well. With hundreds of thousands of cars on the road, the chances of getting in a car accident are very high. Most of the causes of car crashes are preventable, which makes getting in one even more frustrating. Here are three common causes of car crashes and what you can do to avoid them in the future. Part of getting a driver’s license is a test, requiring students to know all the basic driving laws. After the test is done, a lot of drivers forget what is required during certain maneuvers. Some of the biggest problems are unsafe lane changes, forgetting right-of-way rules, and improper turns. The laws are made to make travel efficient and decrease confusion while keeping everyone safe. Review the laws from time to time. Make sure you know what is legal and what isn’t. Also, pay attention to the drivers around you. If someone else goes before it is their turn, don’t be so stubborn that you go anyway. It’s more important to be safe and get to your destination safely. Another way that many drivers are impaired without realizing it is fatigue. This makes you just as fuzzy and prevents clear thinking just as much as drunk driving. These all slow down your reaction time, which is dangerous for switching lanes, if you have someone cut you off, or someone stops quickly in front of you. This makes you a danger on the road to everyone around you. Arrange to have someone else drive if you know that you will be drinking or doing drugs. Carefully review side effects of medications. Be well rested and prepared with caffeine, planned stops, music, or something to keep you awake for the entire distance. Don’t ever rationalize that you’re okay to drive in any of these situations. Call a cab, make other plans, or pull off the road to sleep or switch drivers. Messing with the radio, sound system, or movie system. There are all kinds of distractions that take a driver’s eyes off the road and they are all dangerous. Taking your eyes away for even a few seconds can allow you to drive hundreds of feet without paying attention. So much is happening in any given situation that you can easily miss someone turning in front of you, braking, or a pedestrian stepping in the road. Put the devices away, limit phone conversations, and pull off the road if you need to do anything that prevents you from giving driving your full attention.